Florida is a state that is tested regularly for Seafood fraud, which is why investigators were alarmed when they found that 1 out of 3 times, you will be served a less expensive fish than the fish you are purchasing. 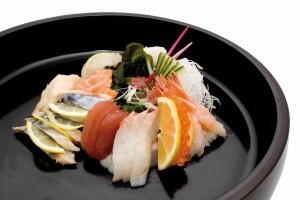 Sushi restaurants are one of the most common culprits. Researchers found that white tuna, whitefish, and yellow tail were mislabeled 100% of the time in the 31 restaurants that they surveyed. Seafood fraud can occur anywhere along the supply chain, which is why experts are recommending full tractability of the supply chain from boat to plate. The term ‘Bait and Switch” is a common fraud term, not only used for fish fraud, but for many other fraud scams. It can be best defined as someone sells you something\ and then when the product arrives it is something different than what you ordered. Counterfeit products are often part of “Bait and Switch” scams and these fake products look like the real thing. They are sold all over the word and it is quite a common fraud scam in just about any industry, from tennis shoes, prescription drugs to purses, just to name a few. Fish fraud is very real and becoming more prevalent as certain fish species are getting more expensive and harder to come by. It is certainly great that the public is being educated on this type of fraud. Important also to note is if you are allergic to certain types of seafood, be sure to also announce this to your waiter at the restaurant when ordering, as some restaurants will cook the seafood in the same place as other meats like on the grill.